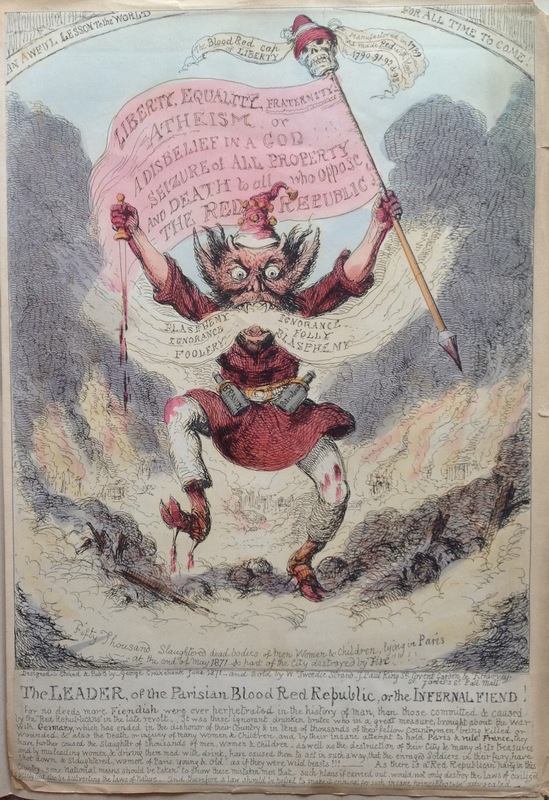 An opportunity has arisen for a knowledgeable speaker to give an hour long paid lecture on James Gillray to a fine arts society in Oxford on the evening of Tuesday 10th May 2016. 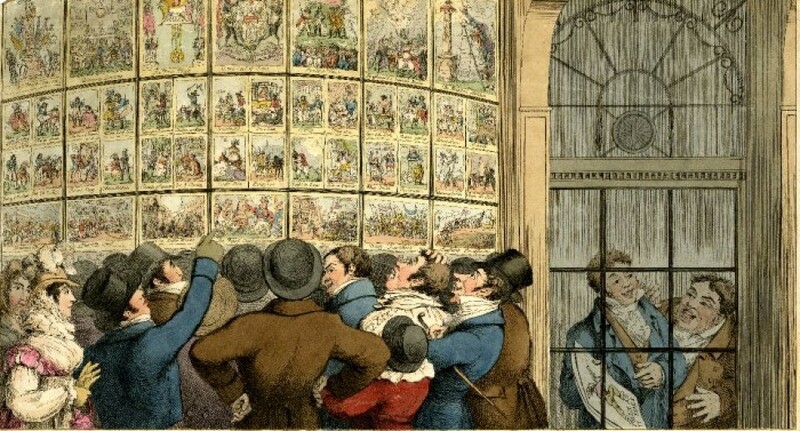 The lecture should preferably be accompanied by a digital presentation and if necessary the organisers can arrange transportation to and from Oxford train station. Please contact Ian Keable (ian@iankeable.co.uk) for further details. I ‘borrowed’ [ahem!] 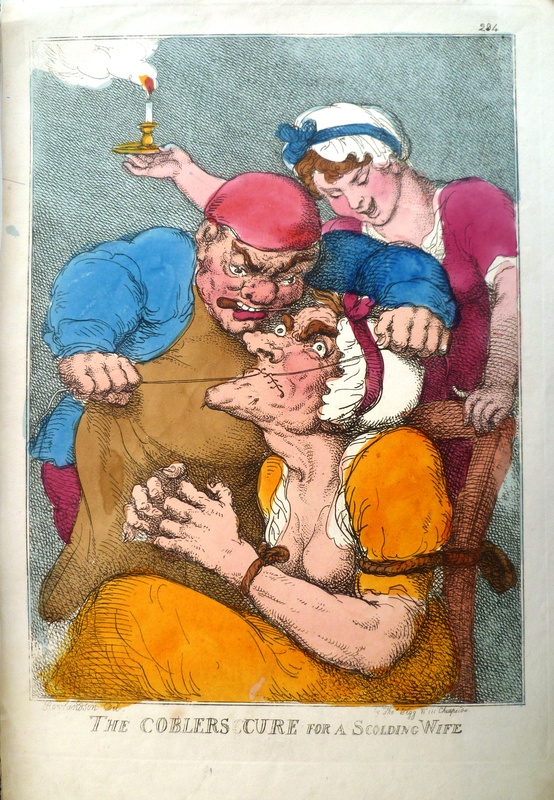 this picture from a catalogue for forthcoming sale at a German auction house. 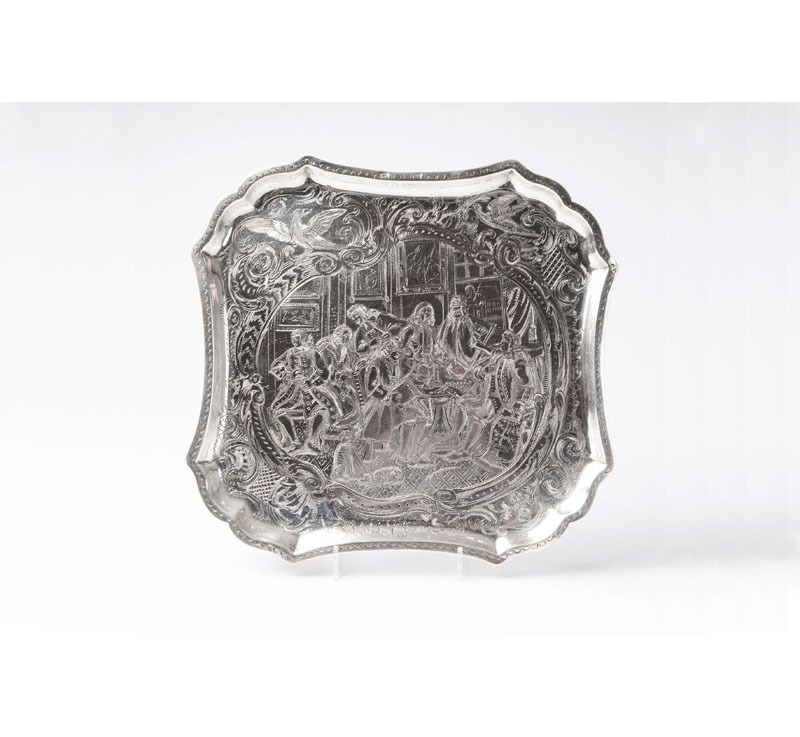 As you can see, it’s an eighteenth-century silver tray engraved with an extremely detailed version of The Marriage Settlement from Hogarth’s Marriage à la mode. 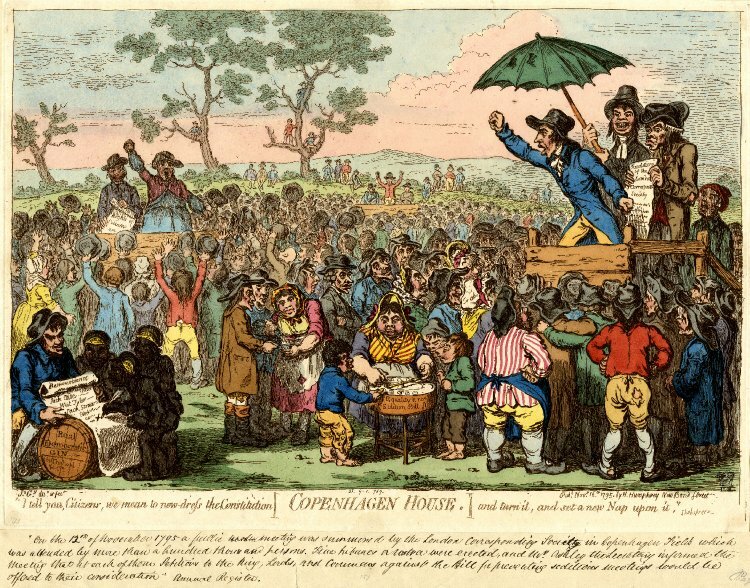 Marriage à la mode was the first of Hogarth’s great series of moral satires and takes the habits and lives of London’s beau monde as its subject. Summarised briefly, the series tells the story of an arranged marriage between the son of a penniless aristocrat and the daughter of wealthy City merchant. The marriage goes off the rails almost immediately and ultimately ends with husband’s murder and the wife’s suicide [Insert your own joke about married life here]. The assay marks indicate that the tray was manufactured in Hamburg by the silversmith Johnann von Holten I (1714 – 1790) between 1752 and 1769. Holten was one of the most respected German silversmiths of the mid-eighteenth-century and would eventually be nominated as alderman of the Hamburg silver trade in 1772. His work is highly sought after and large elaborately engraved pieces such as this usually change hands for a few thousand pounds. I think the quality of this piece makes it abundantly clear why that is the case. I’ve absolutely no idea what, if anything, the tray would have been used for. The edition of four small carved wooden feet to the underside suggest that it was intended for some use other than display; possibly it was used as a card tray onto which visitors to the owner’s household would deposit their calling cards for inspection? The addition of the monogram “P & M K” which is etched on the verso may refer to a couple and hint at the possibility of this being commissioned as a wedding gift by someone with a rather sarcastic sense of humour. This may also explain the presence of the eagle and the dove in the upper corners of the surface, which could represent heraldic devises or serve as masculine and feminine symbols. The tray is due to go on sale in Hamburg later this month and carries an estimate of around £2,500. A small selection of prints have been added to my prints for sale section. Click on the link at the top of the page and scroll to the bottom of the listings in order to check out what’s new. 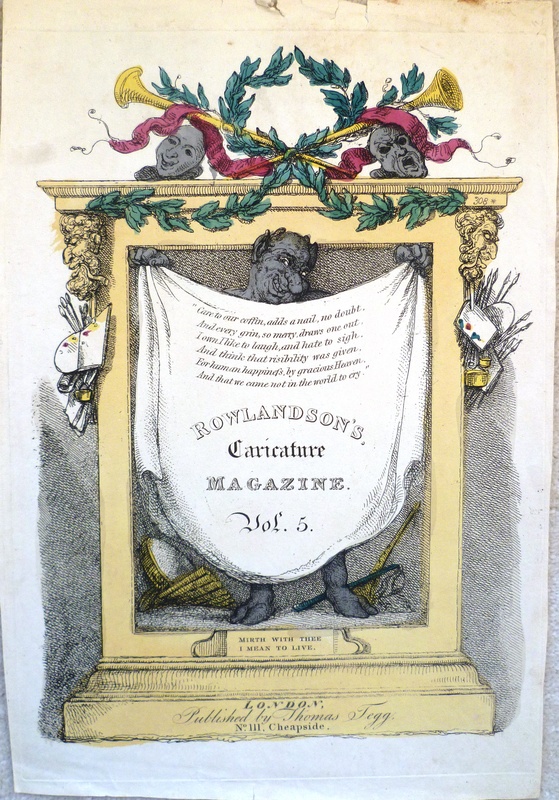 This time I’ve added three caricatures reflecting Thomas Rowlandson’s rather skewed take on love and marriage (including the one pictured above) and a couple of political prints.